This is not my photo. This is Ademar Ferreira Mota, a.k.a. Chocolate, 63. He is a camelo from Itajai, Litoral Centro-Norte, and was the star of a documentary called O Vendedor de Versos . Click on the image to see the report and a youtube video of Chocolate. Cycling along the very touristy Tambau Beach on his way to the money changer on Avenida Nego, Kris stopped to check out a camelô (street vendor with a rolling/moveable cart) selling cheap little pocketbooks on the esplanade. With ugly paper covers and dark grey paper inside, the tiny books are just something for people to read as they lie on their towels in the sun, and then throw away before leaving the beach. Just seeing books for sale on the beach was weird: to think that people would choose to read! Kris assumed they would be nasty little romance, crime, or espionage novelettes— bite-sized disposable pulp fiction for the masses, but when he browsed the covers he was amazed to find authors he knew well: Julio Cortazar. Mario Vargas Llosa. Dostoevsky. Joseph Conrad. Dickens. Chekhov, of all people. It was astounding. 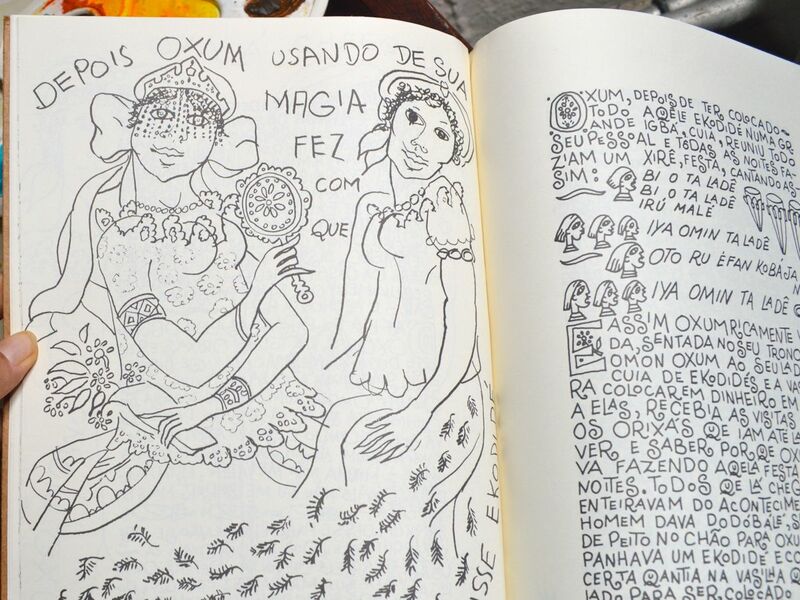 To occupy themselves while sunbathing, Brasileiros read the classics. God almighty. 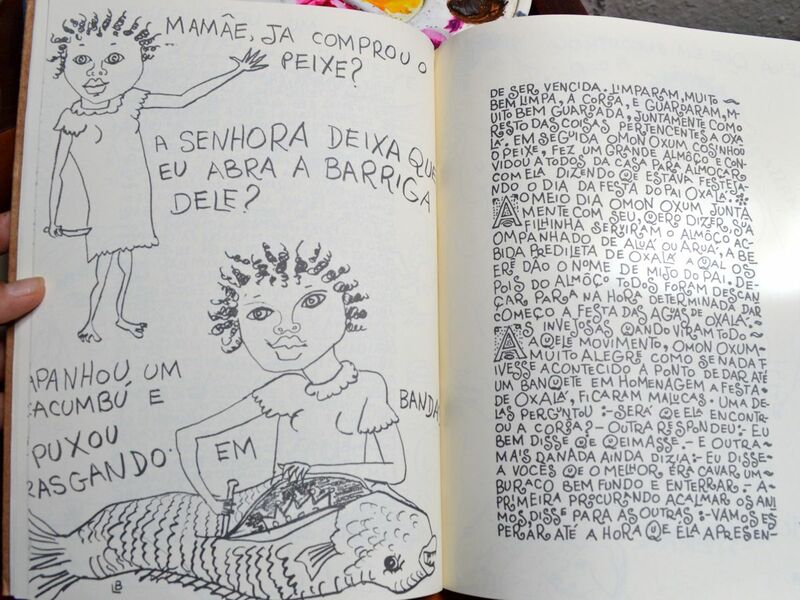 I found the same thing when I went to check out the bookstores in João Pessoa’s shopping malls; what strikes us is the high quality of the books available. I mean two things by “quality”. First, the selection of titles/ authors is delightful. 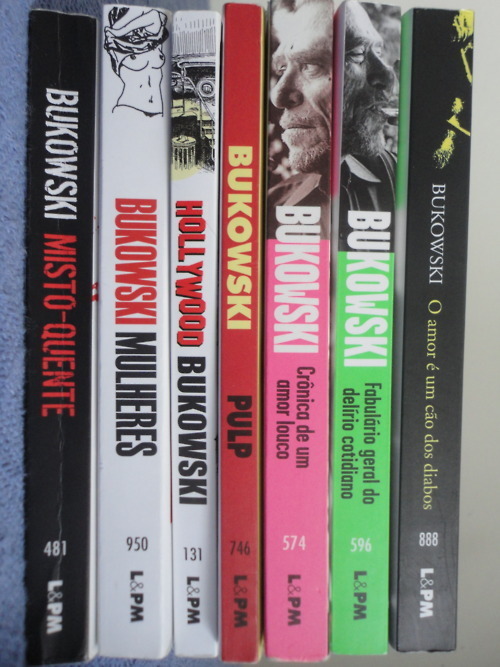 Charles Bukowski’s poetry, for instance, is conspicuous. I saw the complete essays of Virginia Woolf, in a gorgeous edition, with a jacket covered in velvet-flocked scarlet leaves and flowers; a massive tome of Edgar Allan Poe’s stories, with all the fantastic illustrations Harry Clarke did for them. 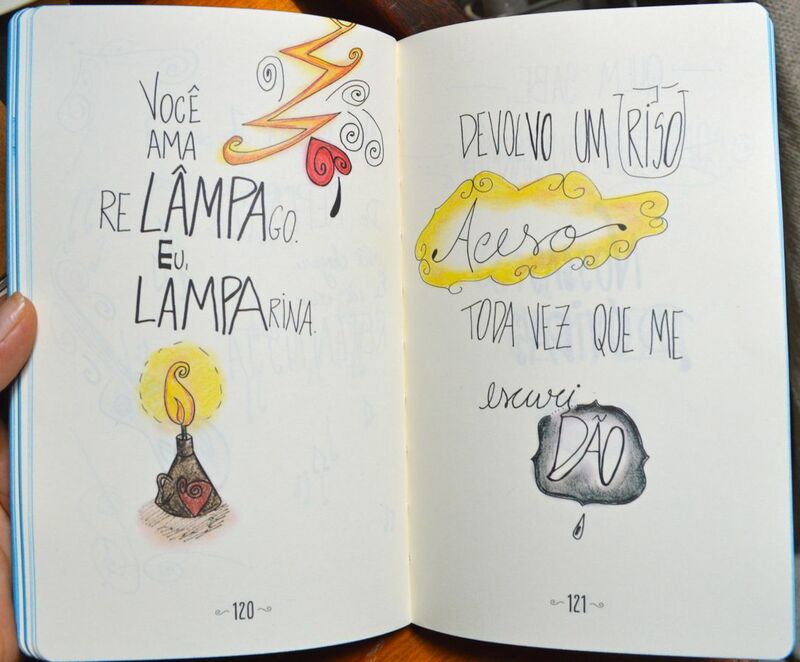 The Complete Odes of Pablo Neruda (this one had me sorely tempted.) Just hundreds of the best literature, art, philosophy books, all beautifully presented and prominently displayed at the front of the bookstores, not just relegated to a small shelf in the back. I also mean the physical forms of the books themselves, the books as objects. 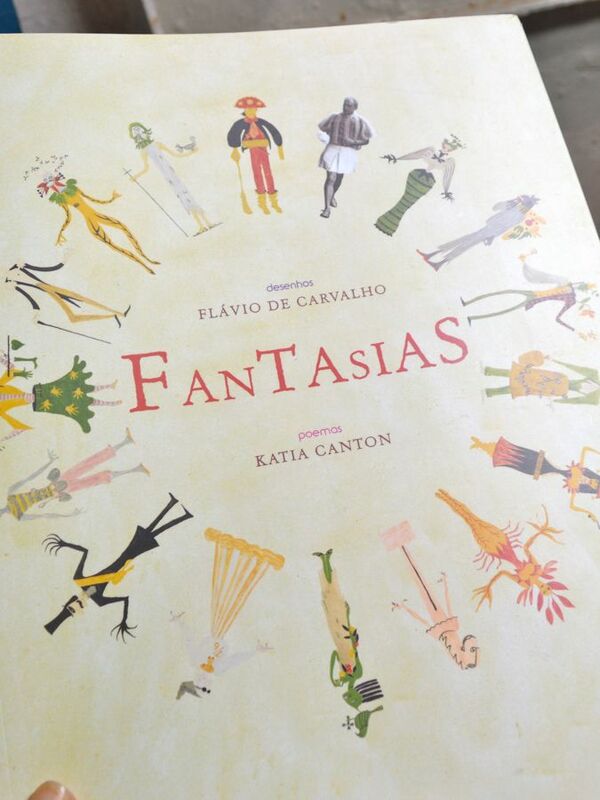 Fine publishing seems to be alive and well in Brazil; there were so many really beautifully produced books: embossed jackets, stamped foil titles, gilt or coloured page edges, ribbon bookmarks, sometimes a mix of different papers in one book, coloured printing on thick, soft ivory paper like cloth. Sometimes the text was printed in colour, too. 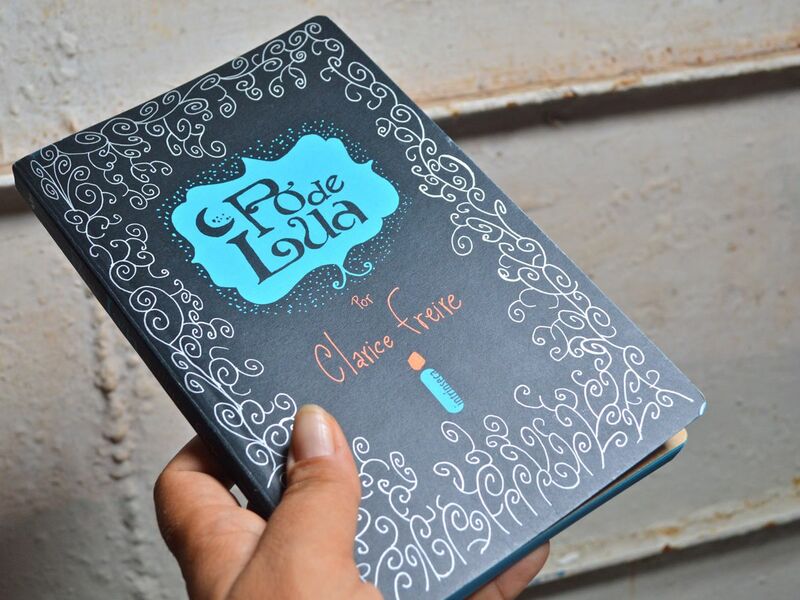 Some of the books had deluxe finishing touches, like embroidered fabric bellybands, or clamshell boxes with leather straps and buckles. Some of the art books were oversized, nearly two feet long and a foot wide, with black & white photographs printed in silver halide. Once or twice I found a pretty book and was pleasantly surprised to find that it cost the same as a cheap hole-in-the-wall lunch, so I skipped lunch, bought the book, and snuck it home. Ivory pages with blue edges, this pretty book looks like someone’s Moleskine sktchbook, with all the text written by hand, and little drawings in coloured pencil. Not sure if it’s a poem, but the subtitle is “To lighten the seriousness of things”; I think it’s light, inspirational philosophy. 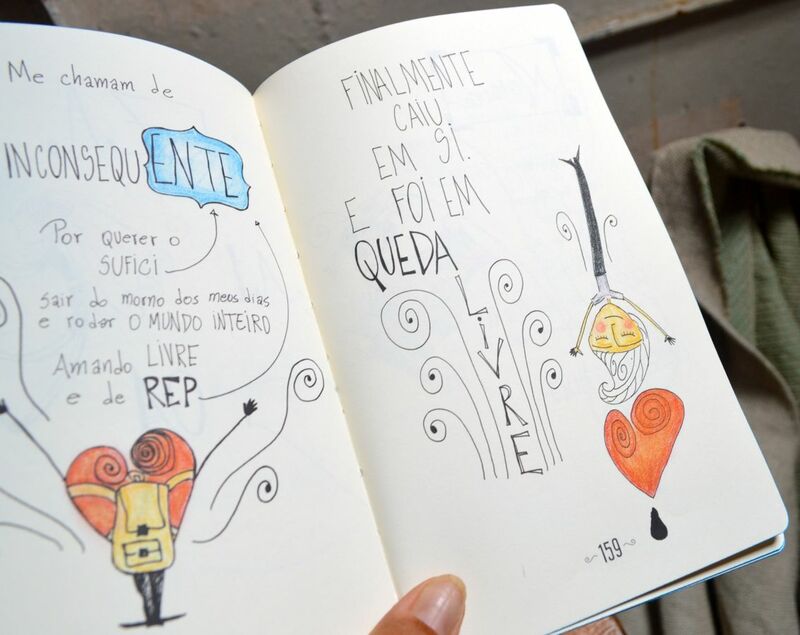 Freire is a young Pernambucana, from Recife (just two hours away from here). She plays with the way words are made up, connecting different parts to each other like Lego, coining new ideas and meanings. 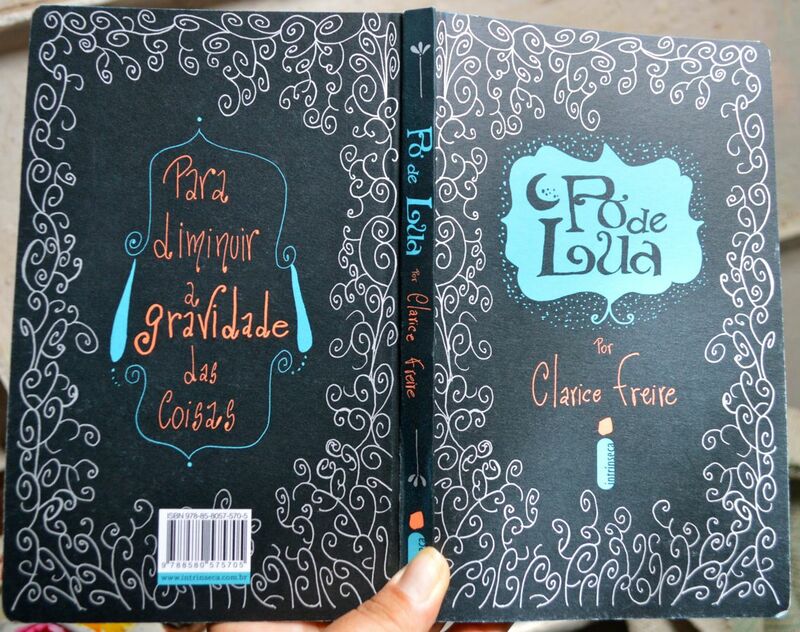 Clarice Freire’s Po de Lua website has more of her drawings and poems. 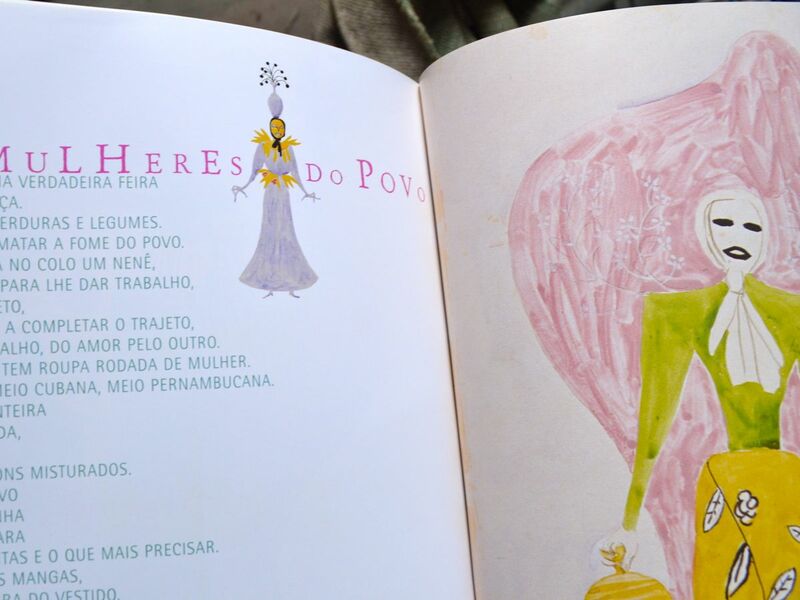 Por Que Oxala Usa Ekodide by Descóredes M Dos Santos, with illsutrations by Lenio Braga, 1966. Ekodide is a feather from an Amazon parrot, used in the initiation rituals of Orixa (Orisha) and Candomblé. 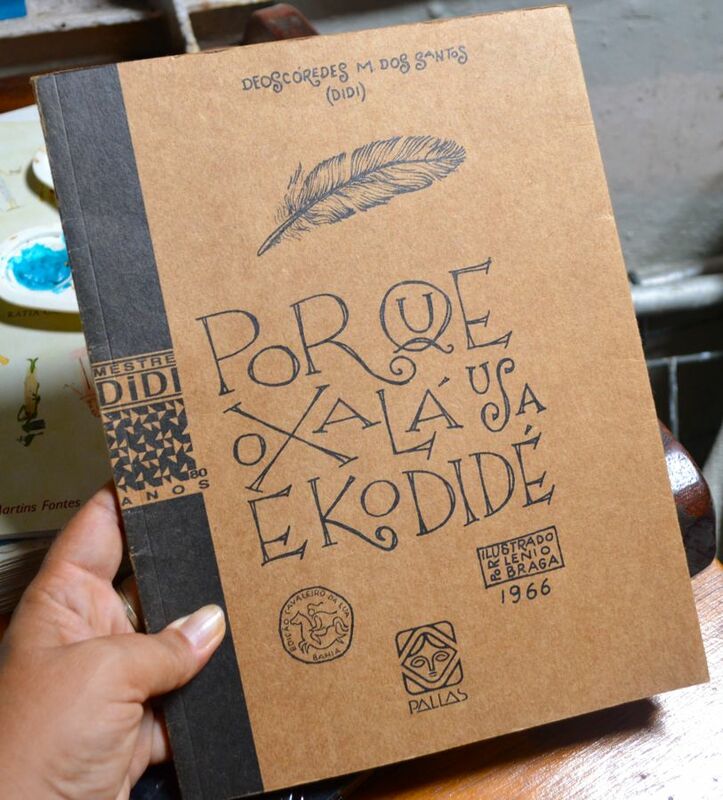 This beautiful book, with its quirky handwritten text and powerful drawings by Lenio Braga, tells the story of how the ekodide came to be used in the rituals. 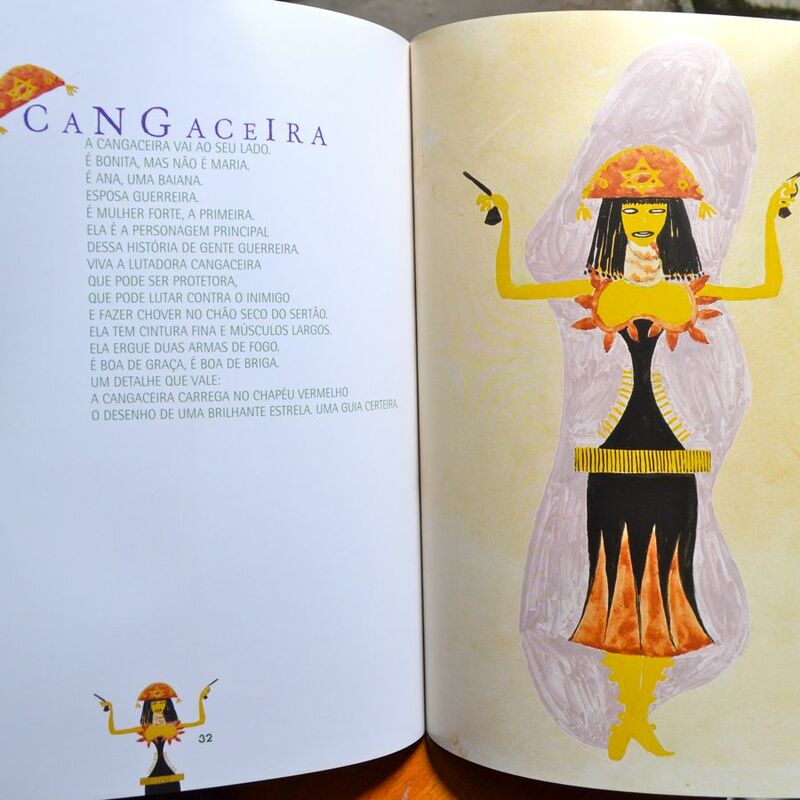 These gouache paintings were done by Carvalho, an architect and designer, as costumes for the ballet performance A Cangaceira, in 1953. 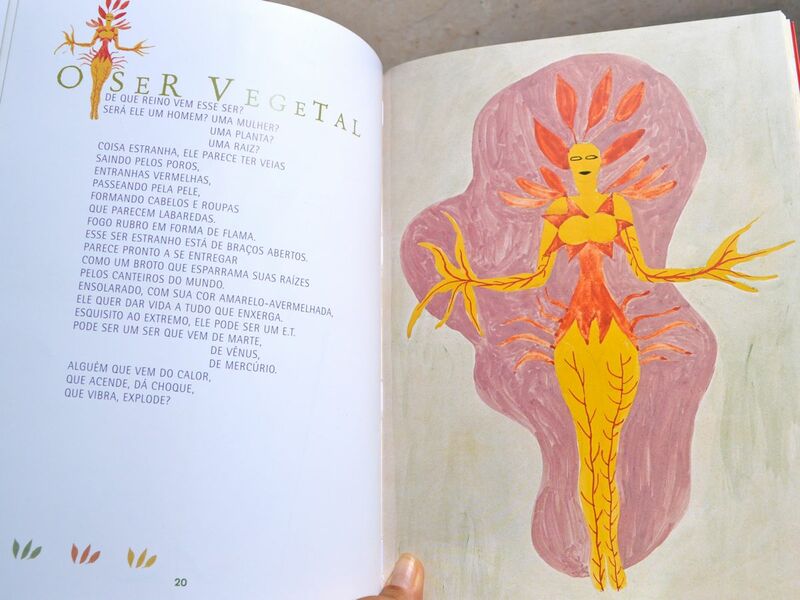 Contemporary poems by American Katia Canton accompany each of the 15 designs. Buying brand new books is A Big No-No on this trip. Our budget can’t handle such extravagance and the rule is self-imposed. We are supposed to stick to second-hand bookstores, or (better yet) swap the books we’ve finished reading for different ones on the yacht club’s shelves (usually a dismal, ragtag selection of pulp novels), but I simply couldn’t resist these three art books, and bought them as my souvenirs of Brazil, as well as for the inspiration. Thanks for taking me into this world … inspiration is all around us, far and wide. Great photos! I love a battered and beaten second hand book almost as much as I love the crisp perfect spine of a new one!